In February 2009, the African Union High-Level Panel on Darfur (AUPD), chaired by former South African President Thabo Mbeki, and including former Burundian President Pierre Buyoya, and former Nigerian President Gen. Abdulsalami Abubakar, began its work of examining the situation in Sudan’s western region of Darfur and making recommendations on accountability, reconciliation and conflict resolution. 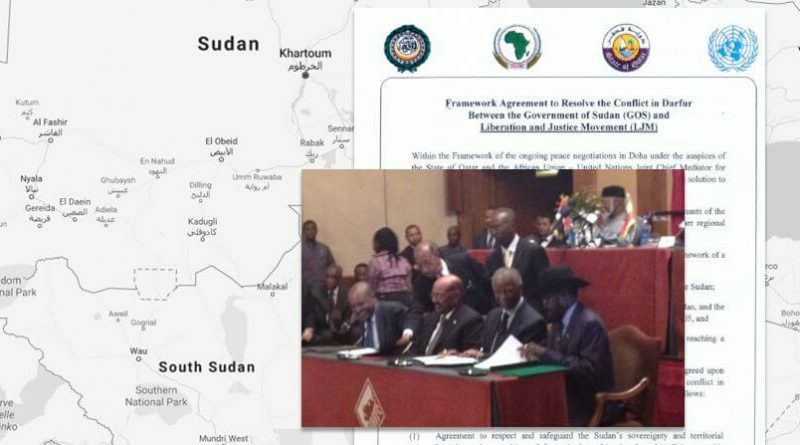 In October 2009, their work continued as the African Union High Level Implementation Panel (AUHIP) with an expanded mandate to cover the final negotiations governing completion of the 2005 Comprehensive Peace Agreement between Sudan and southern Sudan, and, subsequently, the separation of South Sudan from Sudan in 2011. The World Peace Foundation’s Sudan Peace Archive attempts to capture the documents that emerged out of these processes. It was established in 2013 with collections donated by AUHIP staff members Alex de Waal, Neha Erasmus, and Dave Mozersky. Collections may be accessed through Tufts University’s Digital Library. Please note, some materials are restricted. List of acronyms used in the documents. This project emerged out of a partnership between the African Union and World Peace Foundation; it was funded by the U.S. Institute of Peace and World Peace Foundation, and developed in collaboration with Tufts University’s Digital Collections and Archives. Sudan Peace Archive researchers included: Elspeth Macdonald, Margaret Tiernan, Jasmine Bhatia, Massaab al-Aloosy, and Devika de Puy Kamp. With special thanks to Erin Faulder, Anne Sauer and Eliot Wilczek. Additional research support provided by Lauren Kitz and Ljiljana Setka.